We offer a Comprehensive Consultancy service for all design and engineering aspects of master planning. This includes topographic surveys and environmental assessment‘ feasibility studies, master planning and provision of infrastructure facilities, traffic planning, urban design and landscape development. 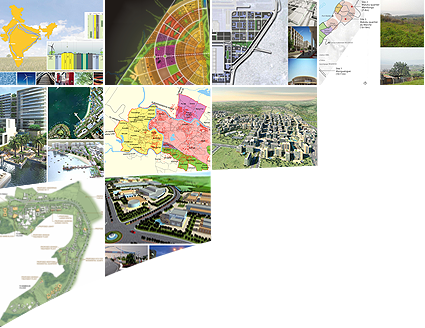 The scale 0' our projects range from a 2-square Kilometer city in Nigeria to a 100-acre Biotech Park in Pune, India, down to smaller mix-used developments in urban areas.